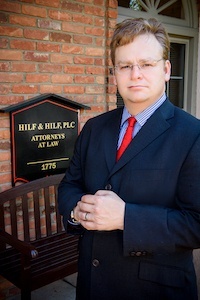 Misdemeanor attorney Daniel Hilf has a pristine local reputation for providing caring, diligent legal representation in Pontiac Michigan at the 50th District Court, other Oakland County District Courts. Misdemeanor convictions in Oakland County have serious long term results upon conviction, including loss of freedom, loss of being able to fully pursue educational opportunities, loss of potential employment advancement, loss of your good reputation in the community, and impact to your future life plans. With a misdemeanor charge looming you should never delay in immediately obtaining zealous legal representation from an in demand misdemeanor lawyer. Misdemeanors are alleged lower tier violations of local ordinances, Michigan State statutory law, and the laws of the United States (Federal laws). Frequently charged and ticketed misdemeanor offenses in Pontiac Michigan include (but are not limited to): DWLS (Driving While License Suspend/Revoked/ or Denied), drinking and driving (OUI, DUI, Super drunk, etc. ), possession of drug paraphernalia, assault and battery, domestic violence, failure to stop at an accident, and retail fraud. For most Pontiac related misdemeanor convictions, the maximum amount of jail possible from your Judge (which is dependent upon the nature of the conviction) is anywhere from 90 day to 365 days. Only a small batch of misdemeanor charges require mandatory minimum sentencing; most misdemeanors do not compel the Judge to order any jail sentence. In many instances you can completely avoid jail with great legal representation. The Judge assigned to your case always with a conviction is free to impose very strict and expensive probationary provisions that may make your life difficult to manage. If you choose to ignore the Judge or your probation officer assigned, the possible result may include a probation violation. A probation violation in most instances leads to additional jail and/or harsher and stricter probationary conditions. There are sometimes misdemeanor related consequences outside of your Judge's control if a conviction is entered (even if your Judge is sympathetic to you and your situation), including: the loss of your ability to work in a hospital setting caring for patients (various theft/stealing/fraud related, drug crimes, and assaultive offenses); loss of your hunting and fishing privileges (some Department of Natural Resources conservation offenses); the loss and/or restrictions to your ability to legally drive an automobile (DUI/OWI related offenses and driving without a license related offenses); the inability to lawfully posses and/or purchase firearms (stalking, domestic violence); etc. If you are not a US citizen you must always proceed with caution and strong legal representation, because a misdemeanor conviction can lead to severe and irreversable immigration sanctions such as deportation, inadmissibility (inability to lawfully return to the United States if you ever leave the United States), immigration detention, and the inability to obtain waivers and other immigration relief. due process of law (the presumption of innocent for any and all criminal offenses, to have a contested trial in front of a jury (or in front of the Judge if the parties and the Judge agrees), to fairly and fully cross examine all witnesses that testify against you, right to subpoena witnesses for your defense to testify in Court, prosecution has sole burden of proving its case against you beyond a reasonable doubt, right to remain silent and not have your silence used against you in any type of way, right to testify and tell your side of the story, seek potential appellate review of your conviction). If you are convicted of a misdemeanor, it will be up to your Judge to decide upon different sentencing options. Before the sentence is imposed, the Judge will give you and your lawyer a chance to say anything that is relevant that may lesson or mitigate the Judge's decision. The defense you assert, or the legal strategy you choose to pursue, only has real worth if your legal representative is fully invested in providing you with the best defense. You can hope for luck when it relates to the quality of your legal representation if you choose not to retain counsel, or take control of your life and seek a leading Pontiac defense lawyer, because your defense is only as strong as its weakest link. Does the lawyer who is so important and instrumental to my case have a professional local office where I can confidentially discuss my concerns? Does the lawyer who is so important and instrumental to my case appear before my District Court Judge on a regular basis? The answer all of these questions is yes, if you make the wise decision to hire Pontiac Michigan misdemeanor defense counsel Daniel Hilf. You do not need to settle for a second rate lawyer with a half baked defense who just goes through the motions to provide the bare minimum defense. You do not need to settle for an attorney that you do not fully and completely trust to provide you with the strongest defense. Being on top of his game, legally talented, experienced, well respected, clever, and intelligent are all applicable descriptive terms for lawyer Daniel Hilf. If you have Court in Pontiac Michigan, contact us today to prepare for your best defense.